Maintaining a clean and tidy house, in the midst of a busy schedule, can feel nearly impossible. However, with the help of a few tips this daunting task can be broken down into manageable bites. 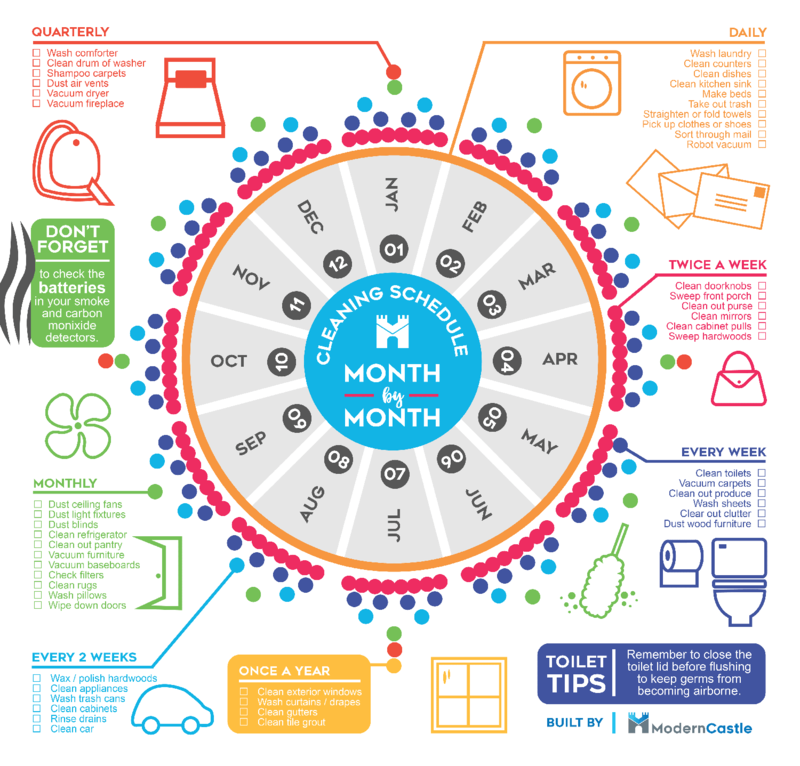 This house cleaning guide designed by ModernCastle.com is looking to do just that.